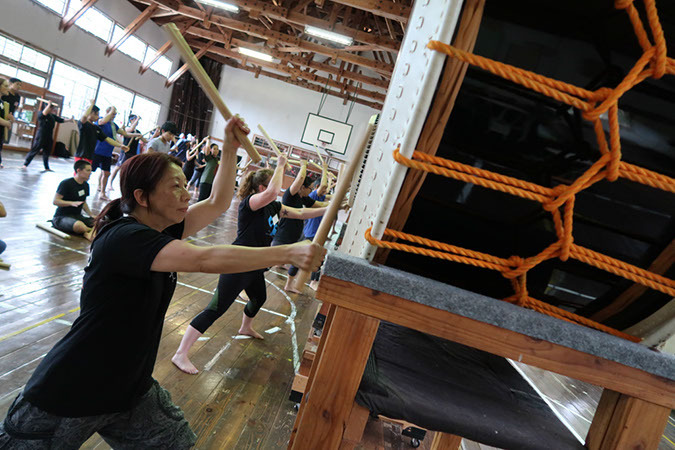 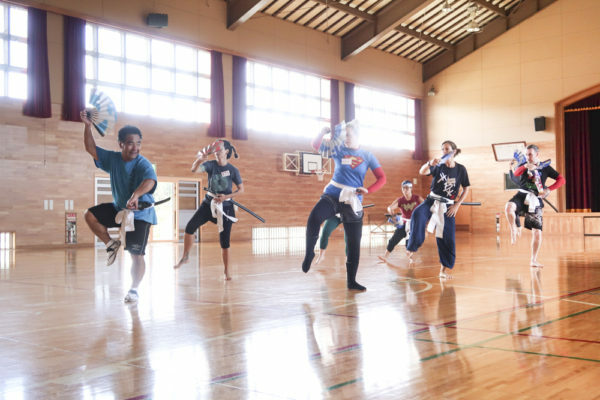 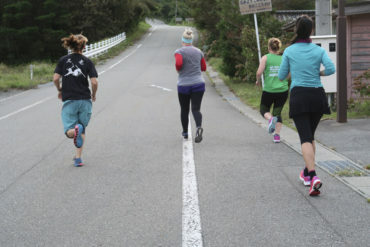 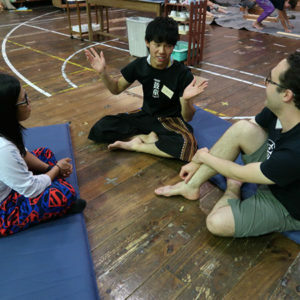 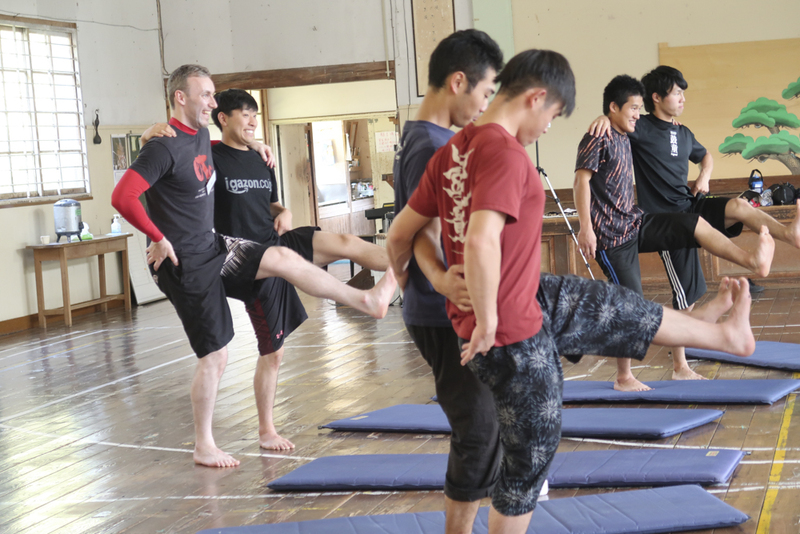 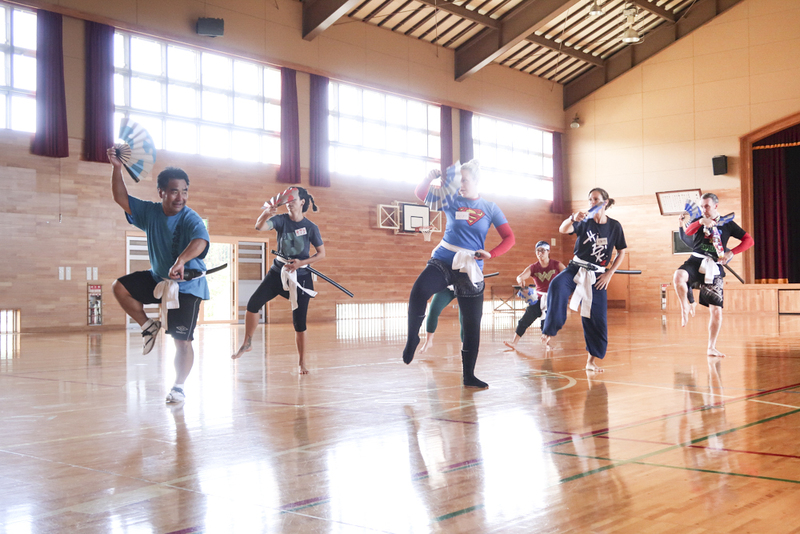 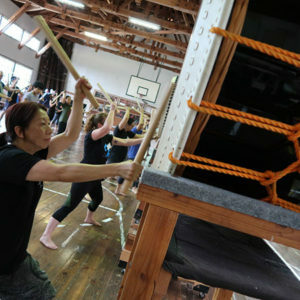 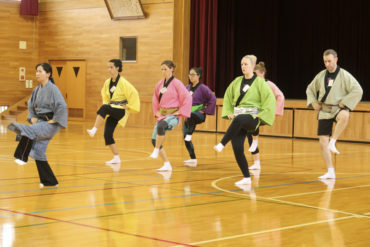 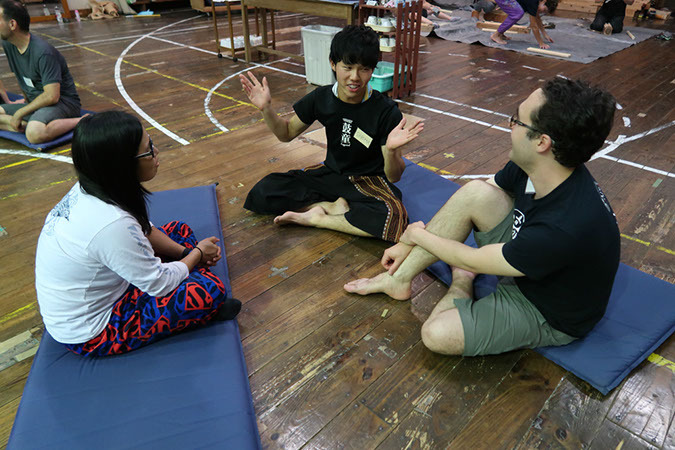 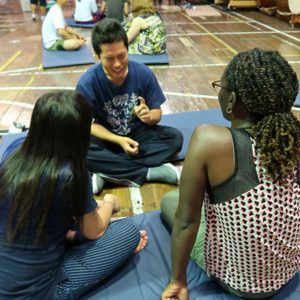 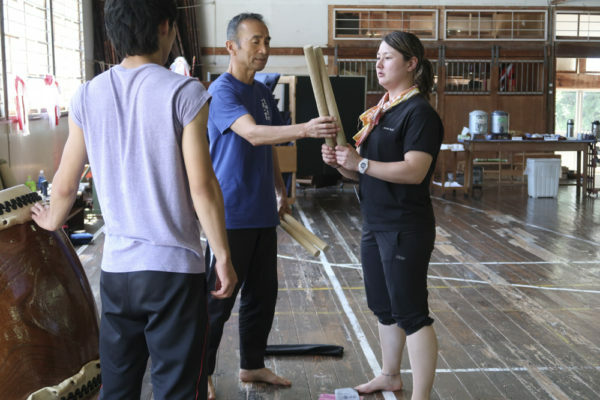 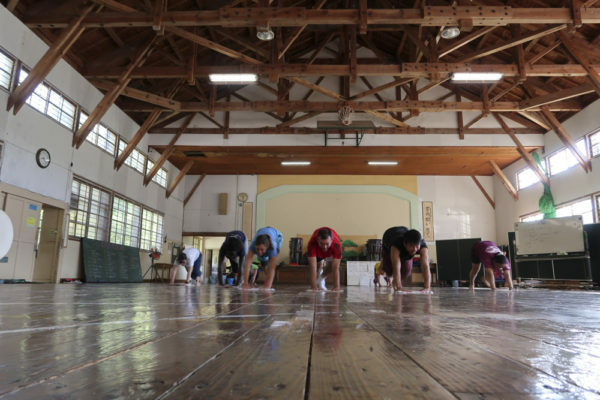 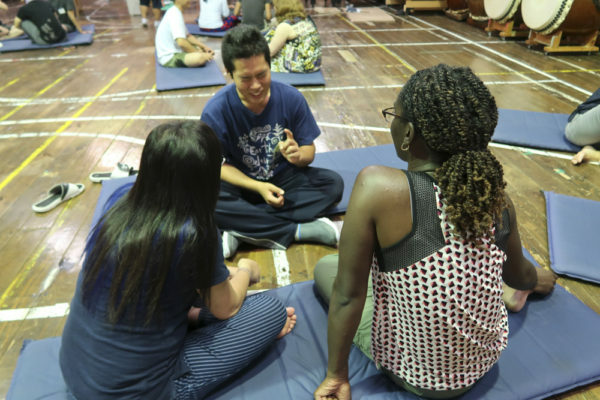 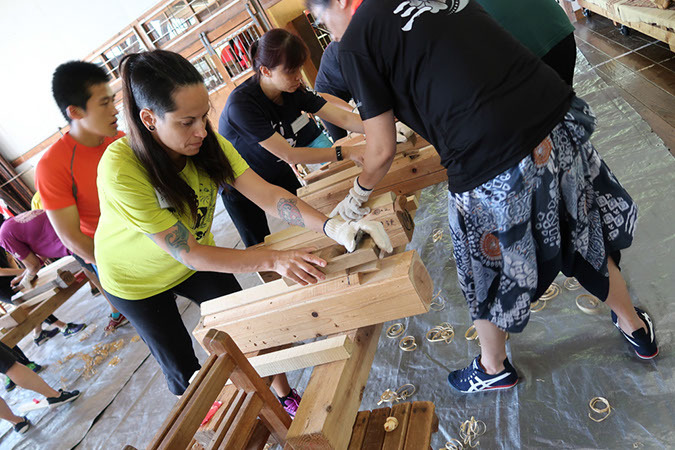 Roots of Kodo is a new live-in workshop aimed at people from abroad. 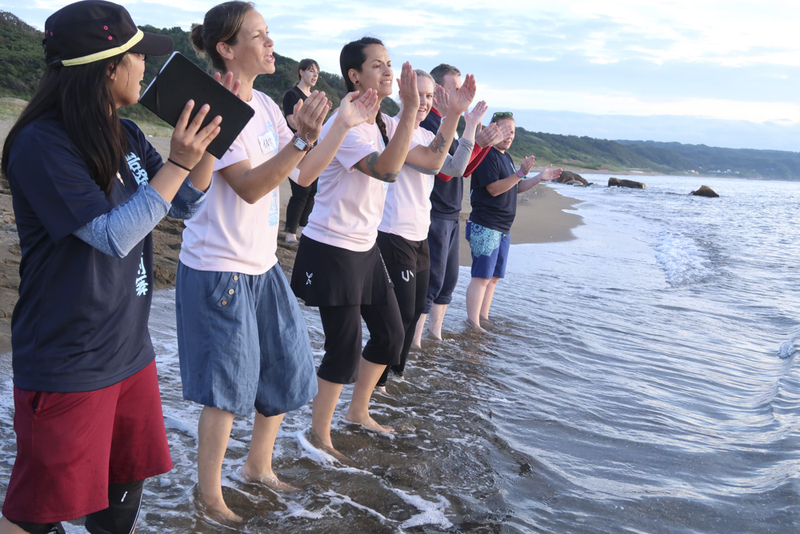 The inaugural program was nine days long, held on Sado from Sep. 10 through 18. 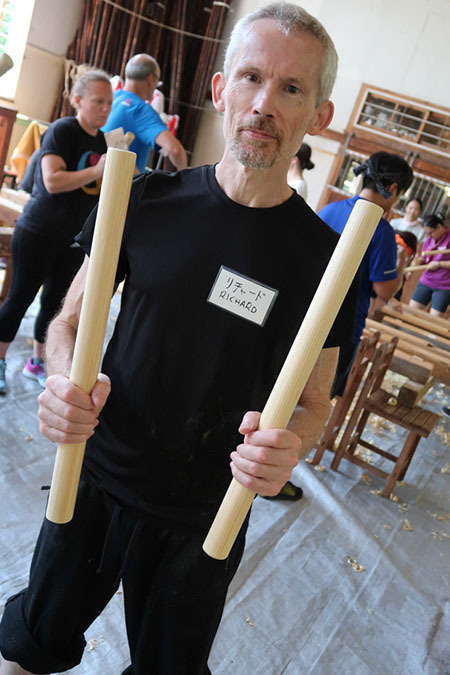 This idea for this project all started in Europe during a workshop tour I planned in 2017. 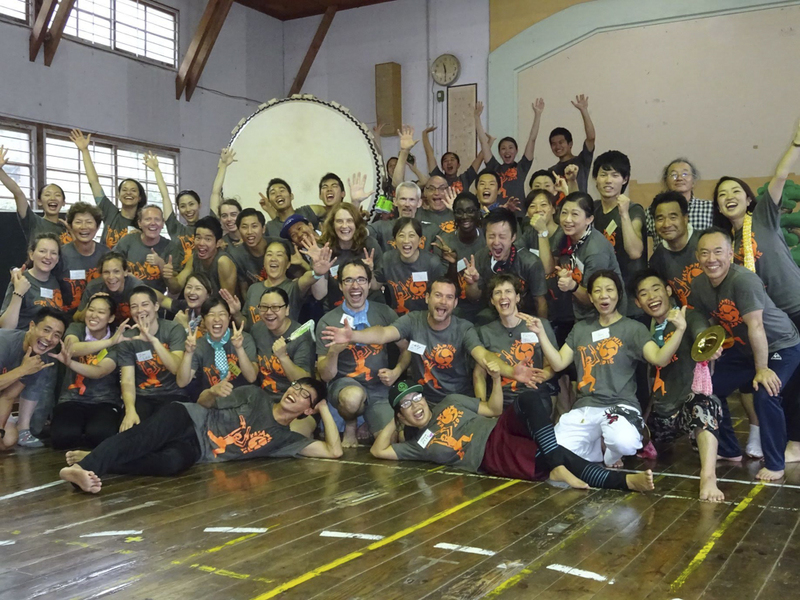 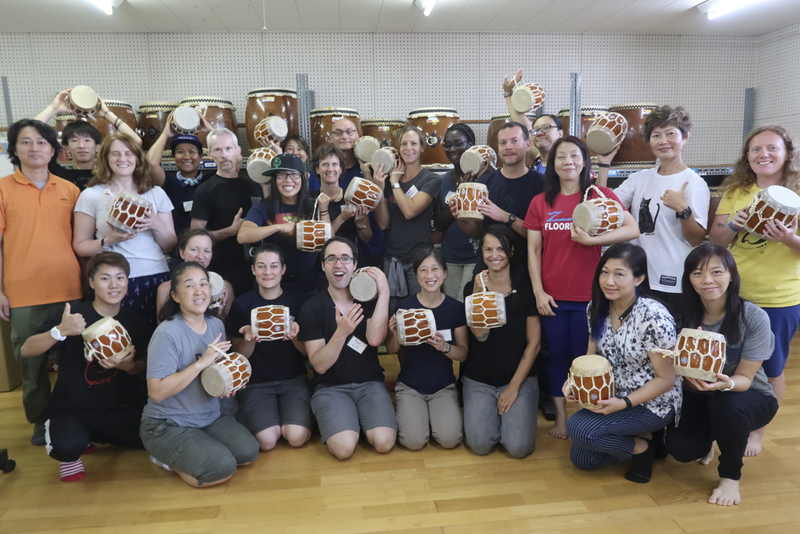 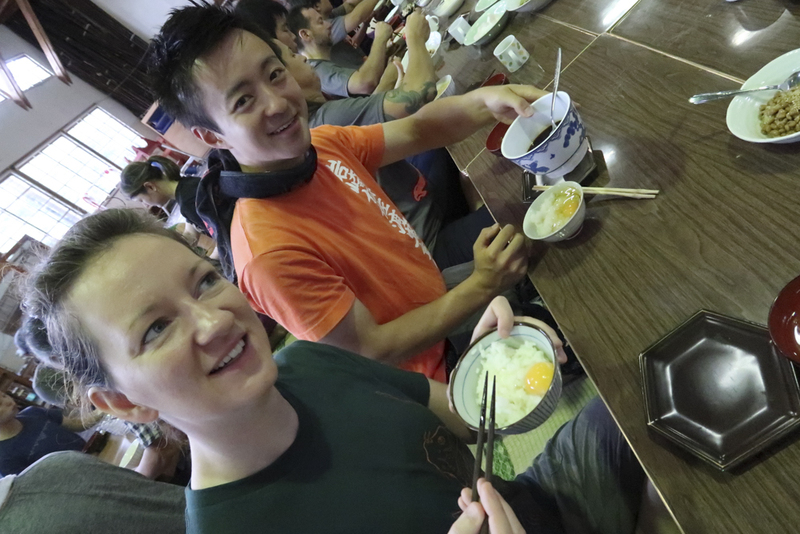 I met so many energetic overseas taiko players on that tour who were very eager to learn. 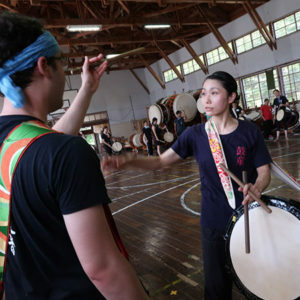 I heard people from various countries say they wanted to study (taiko) way more seriously and they wanted to train at Kodo Apprentice Centre, if possible. 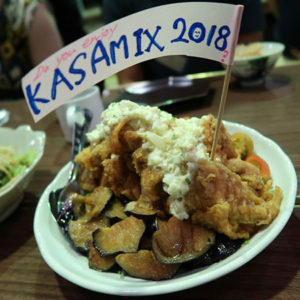 So I wanted to give them the opportunity to do that. 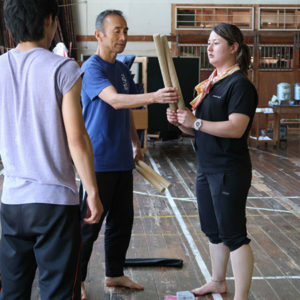 That’s how this program came about. 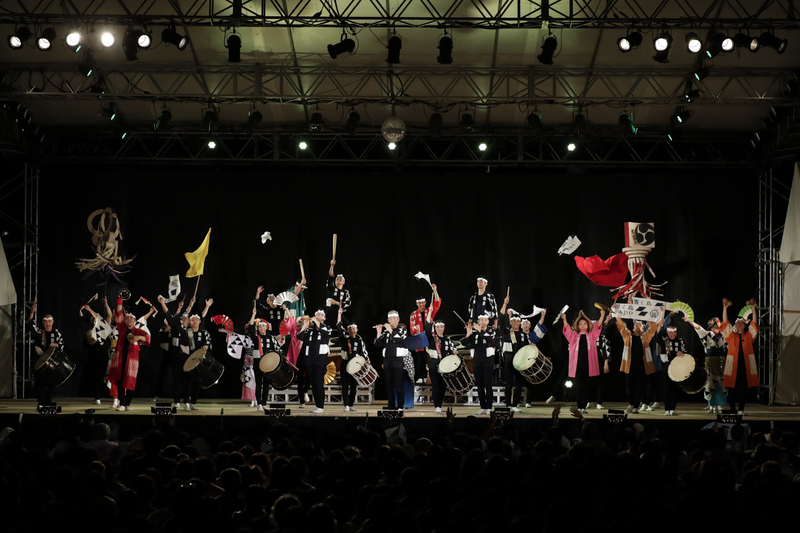 Kodo is constantly seeking new forms of expression with taiko, and so are people who play taiko abroad. 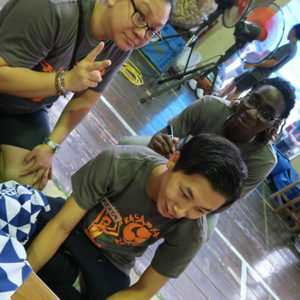 They are also always wondering what is possible and looking for new inspiration, too. After careful consideration, I felt that rather than try to teach them what Kodo’s way of expression, if I shared the roots of what we, Kodo, value as a group, then that might be the best way for each of them to move forward in their own pursuit of genuine taiko expression. 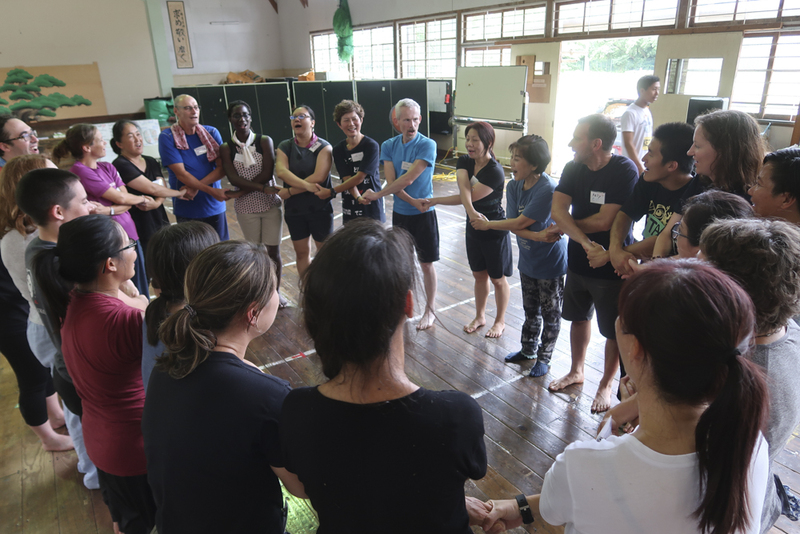 I could prepare that environment for them and create an optimal opportunity for them to learn. 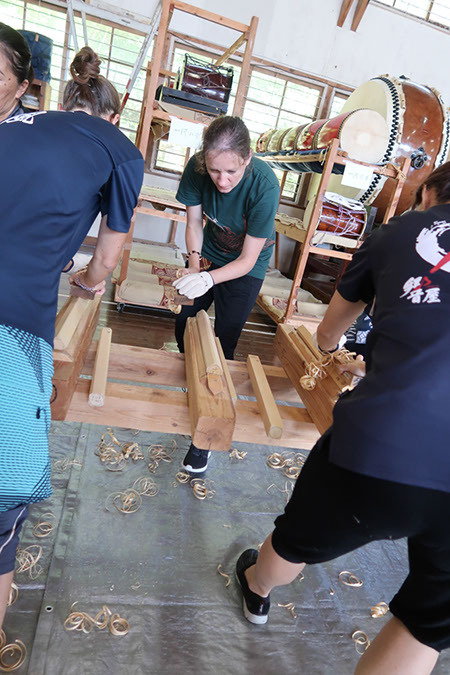 And I’d already learned how to do just that through my experiences at Kodo Apprentice Centre. So I devised a program that included all the things that I considered to be Kodo’s roots: making your own meals, cleaning, creating a schedule and living by it together, figuring out time for training, devising practice methods, discussing things…and more. The program was not just about taiko training. 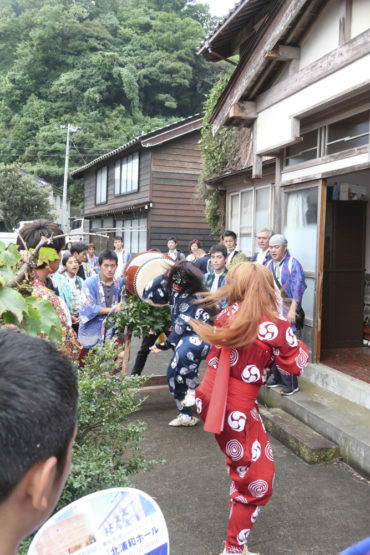 It also included dance, tea ceremony, taking part in a local festival, agricultural work, and other activities. 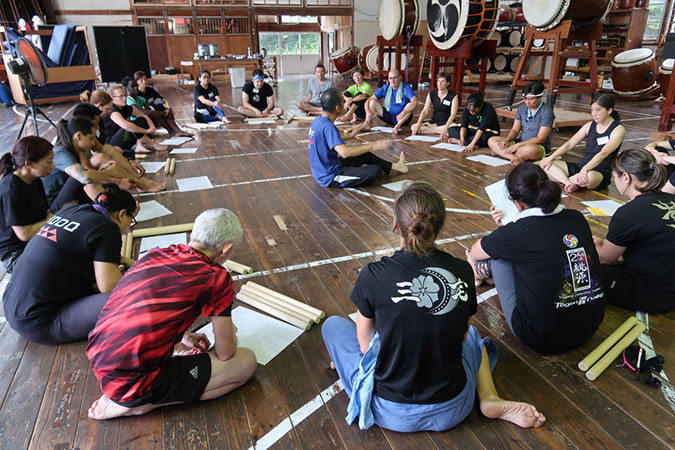 When I made a list of all the fundamentals of our group, there were so many things other than taiko that I was unsure if it would even make sense to the participants. 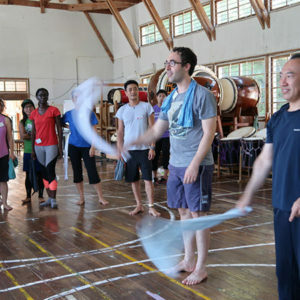 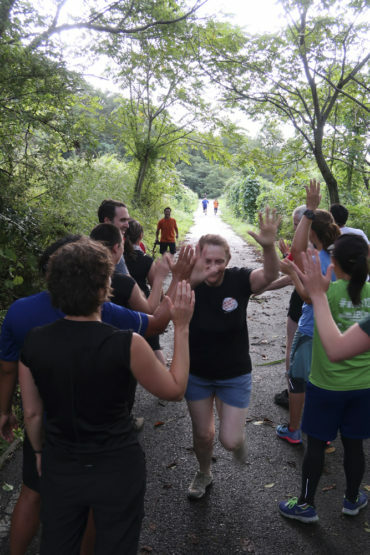 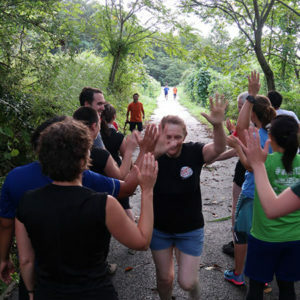 Each and every participant came with an active approach to learning and the desire to make the most of the program. 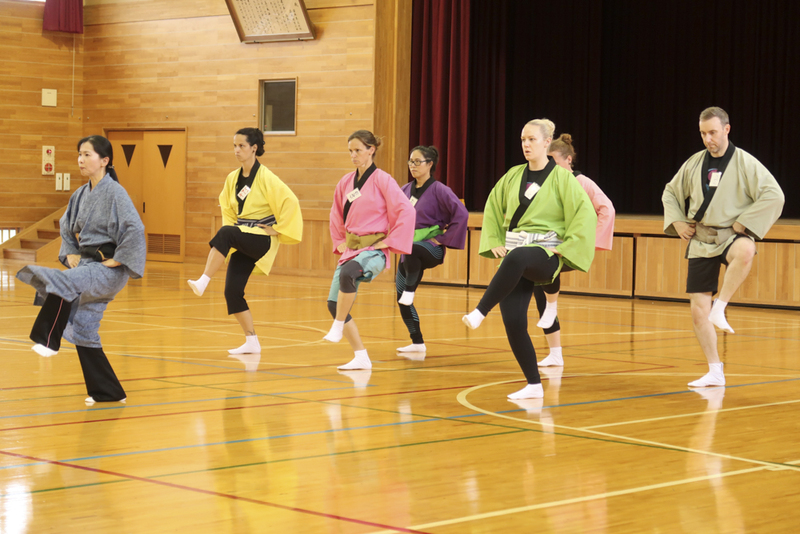 I think the program worked because of their attitude. 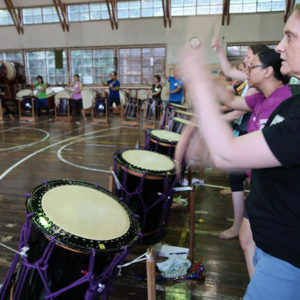 I kept asking myself if all these activities were necessary for simply playing taiko, and I made a real effort not to just gloss over things by saying “In Japan, we do this” or “That’s just the way it is.” By being thoughtful about every element, what was actually important became clear and it was regardless of any country or culture. I discovered things every day… perhaps I ended up learning the most of anyone from all the questions and reflection. What people got were “seeds.” Those seeds were cultivated on Sado Island, within people just like this, within a history of time spent just like this. 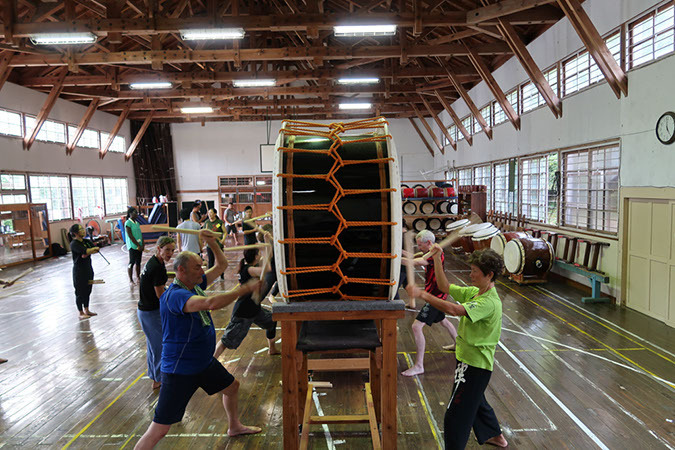 And Kodo is the “flower” in bloom, which grew from those seeds. 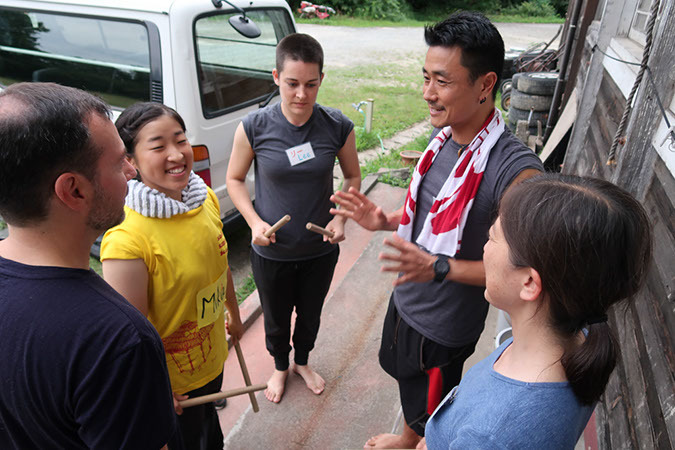 How the Roots of Kodo participants raise the seeds we gave them is up to each one of them. 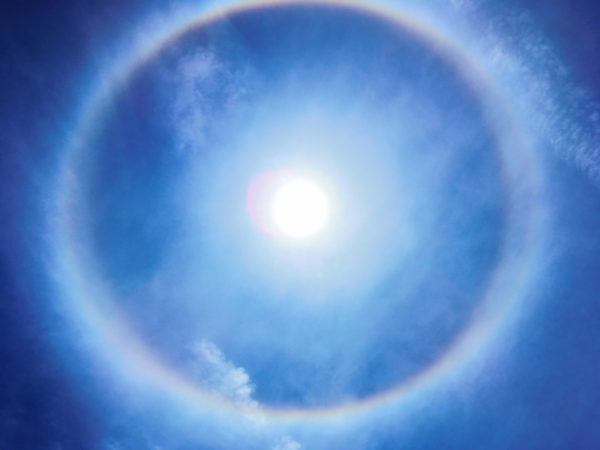 We know seeds grow differently according to factors such as the soil where they are planted, if they get sunlight or not, and if you give them water or not. 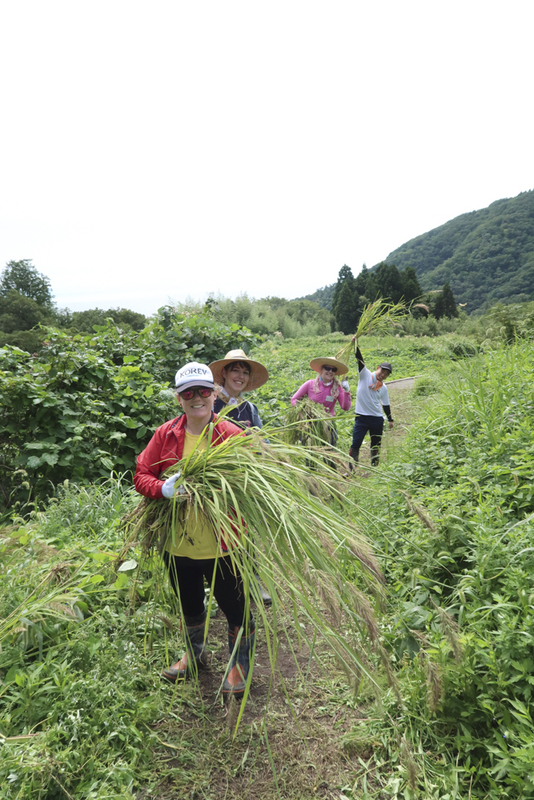 I think the best way to raise seeds differs from place to place. 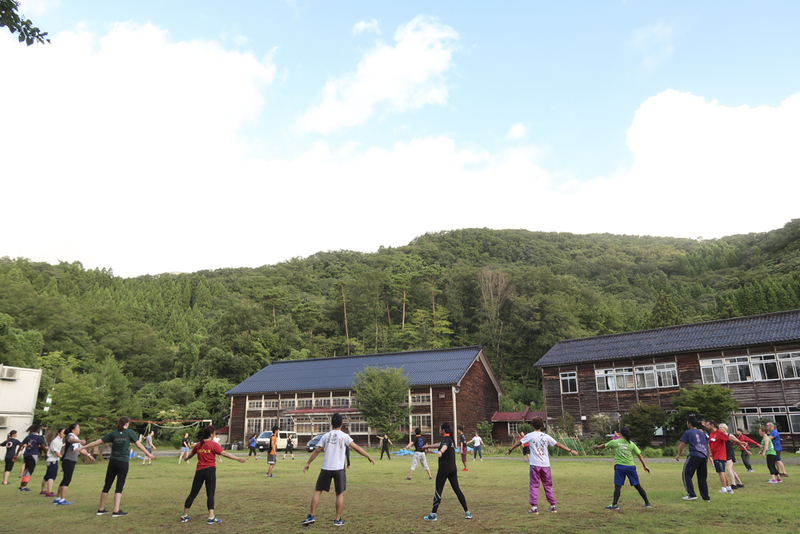 I wonder what kind of flowers will bloom from those seeds in each participant’s country in the future. 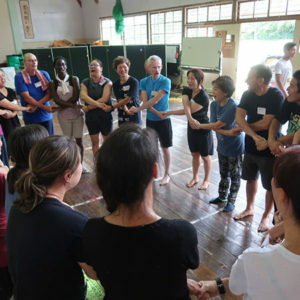 I hope the message of “ONE EARTH” will spread around the world through these seeds and flowers, to connect us all someday. 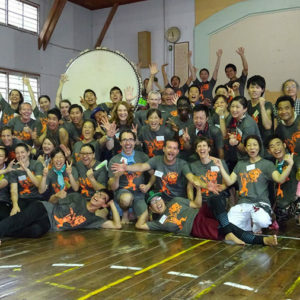 To all the participants and staff involved, thank you so much. 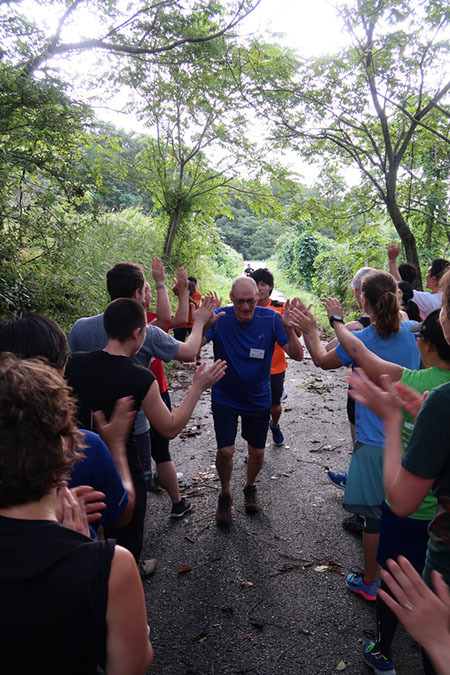 I am excited about what lies ahead! 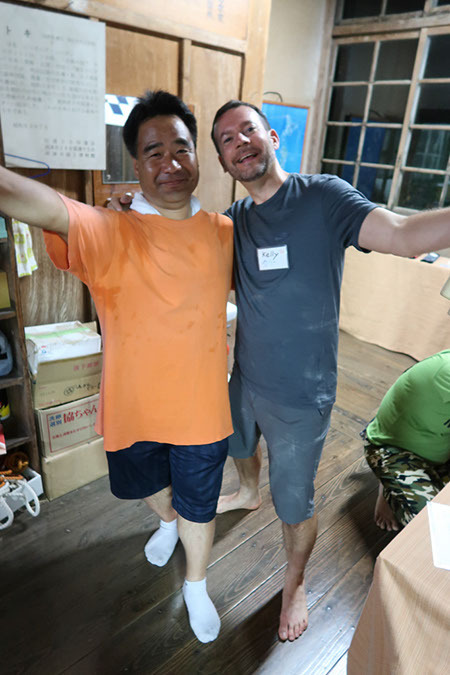 All of sudden it’s cool and comfortable on Sado Island. 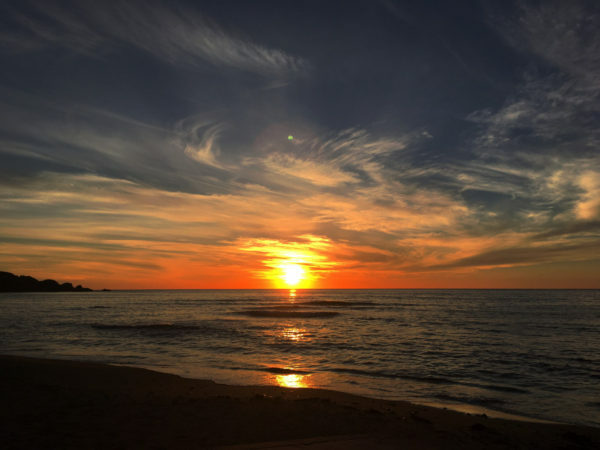 It’s so different to the summer heat that was here not long ago. 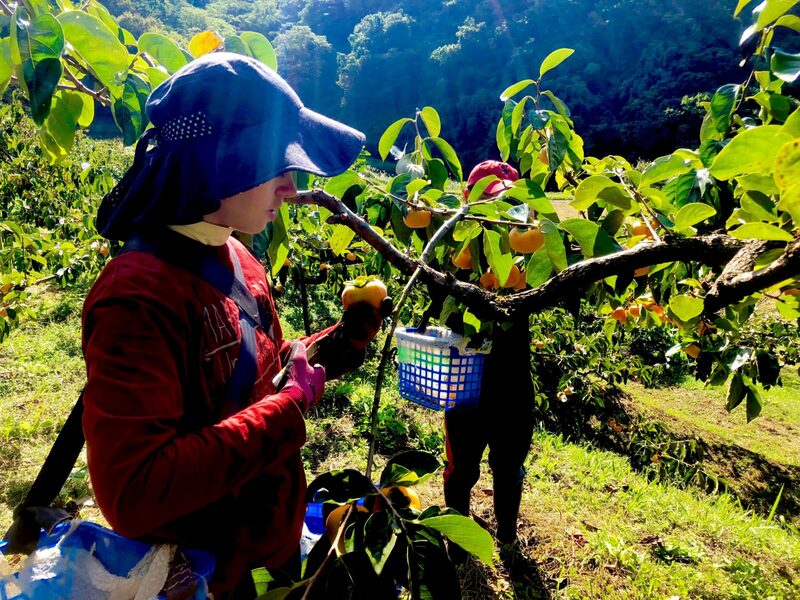 The other day, we did some agricultural work with the Kodo apprentices at a persimmon orchard managed by Mr. Shokei Kusaka at Konin-ji, a temple in Hamochi. Mr. Kusaka teaches us how to do debudding, cut the weeds, and pick the persimmons properly. 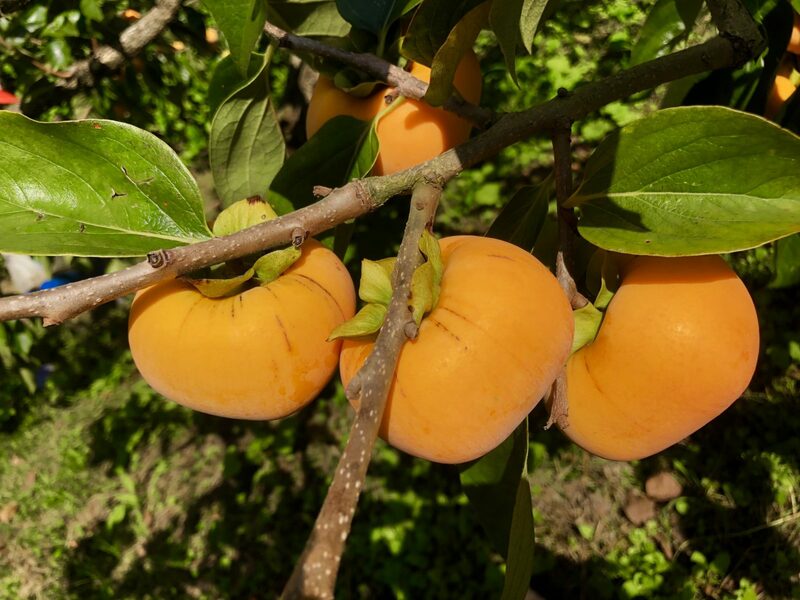 We harvested the persimmons, learning from Mr. Kusaka how to pick them without damaging them. 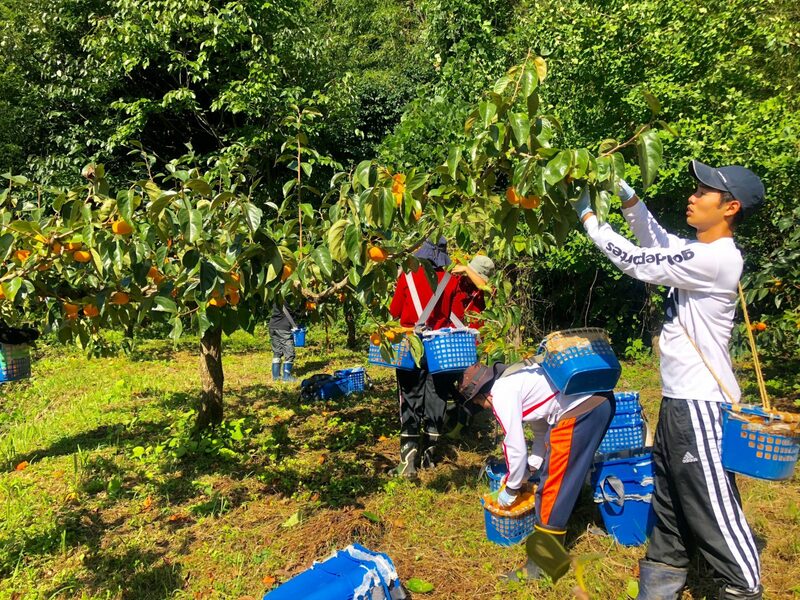 After picking the fruit, we put alcohol on them to remove the astringency and carefully pack them into boxes. The apprentices’ wishes for a swift delivery are also sealed in each parcel along with the sun-ripened persimmons. We hope they reach everyone quickly and safely. 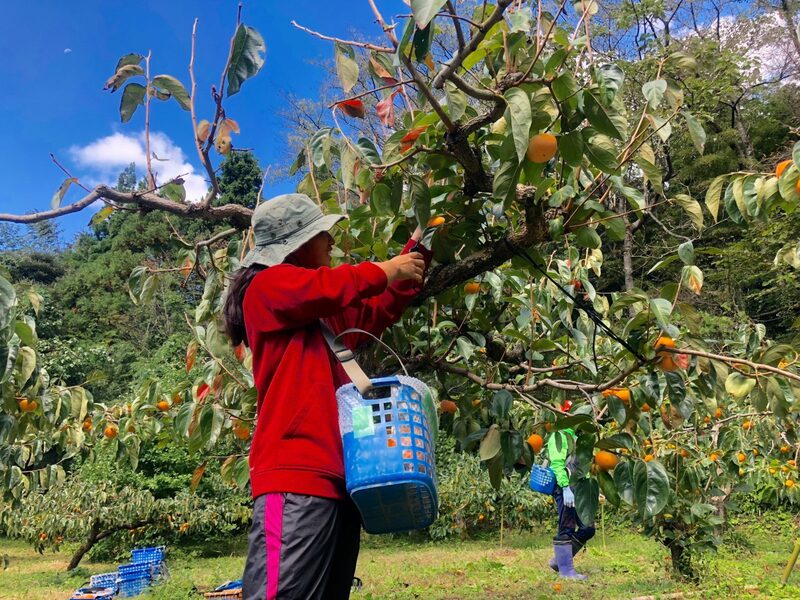 If a box is heading your way, we hope you enjoy this delicious taste of autumn! 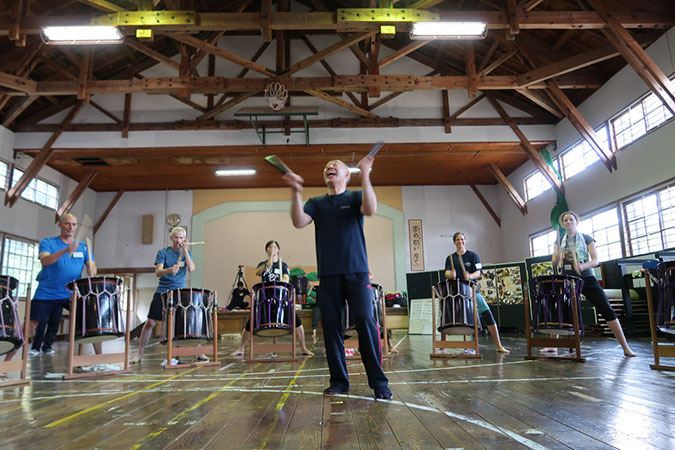 To join our Japanese-language supporter service Kodo no Kai, please contact us by email or see our website for details (in Japanese only). 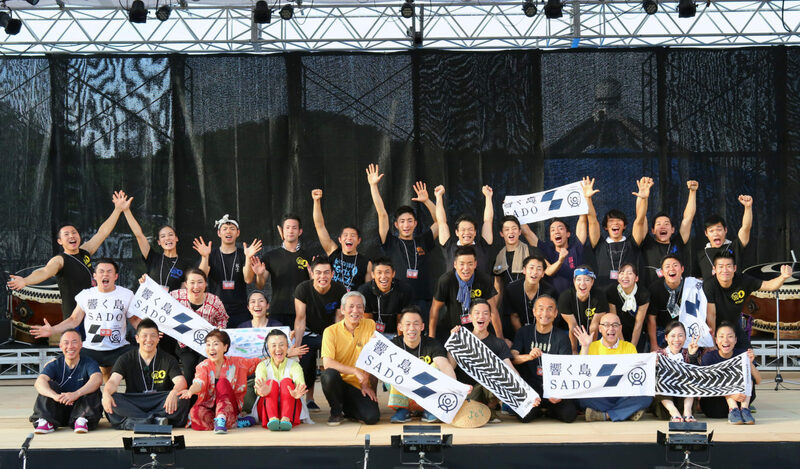 KASA/MIX was held once again this year on Sado Island! 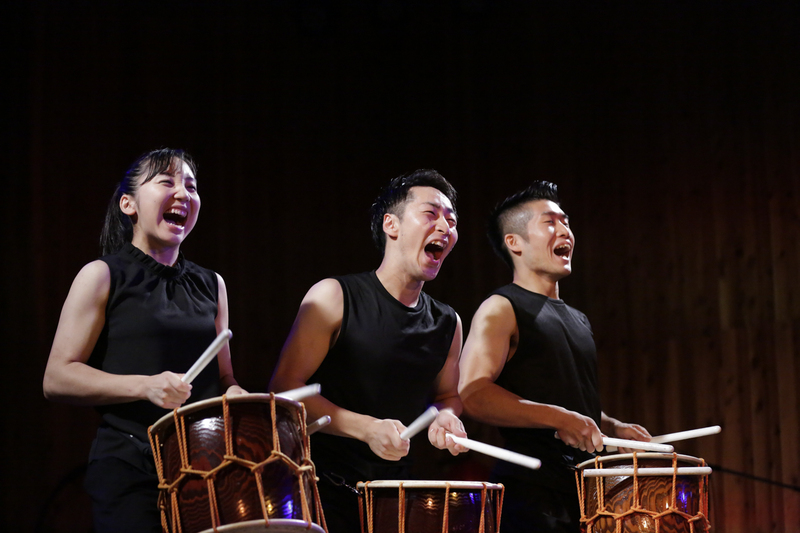 This is a week-long biennial program geared for taiko players from abroad. 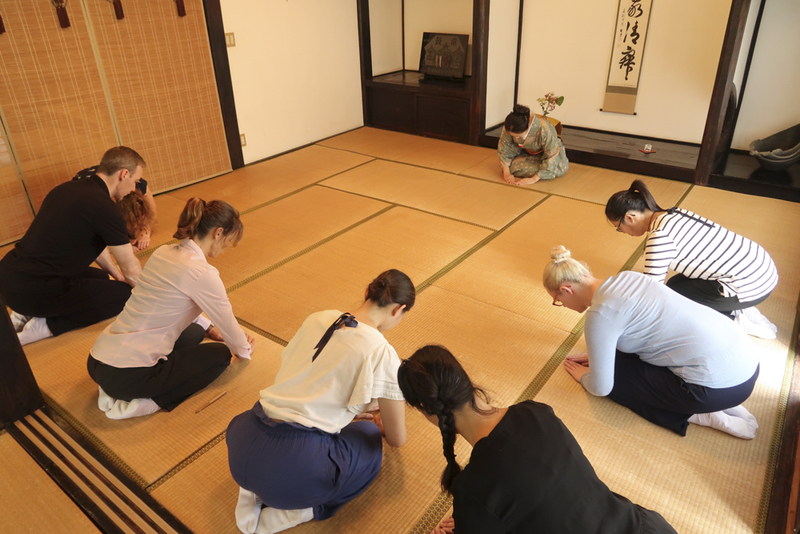 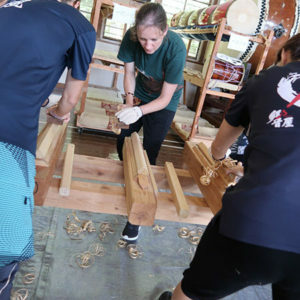 This program not only features an exclusive time at Kodo’s Apprentice Centre with the apprentices, but also gives a chance to experience the beautiful nature of Sado and the craftsmanship of Kodo and the Japanese culture. This year, we had participants join from a record breaking number of 7 countries with 22 people representing all over the world! 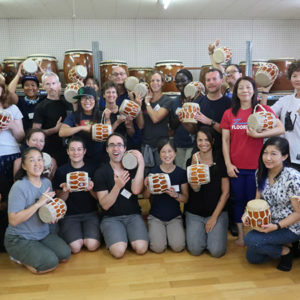 We had people from the U.S., Canada, Australia, U.K., Italy, Germany, and Singapore, all with unique taiko experiences and loads of energy. 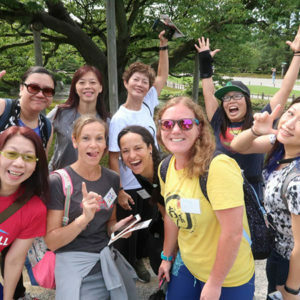 The trip began in Kanazawa, where we all did some sightseeing together. 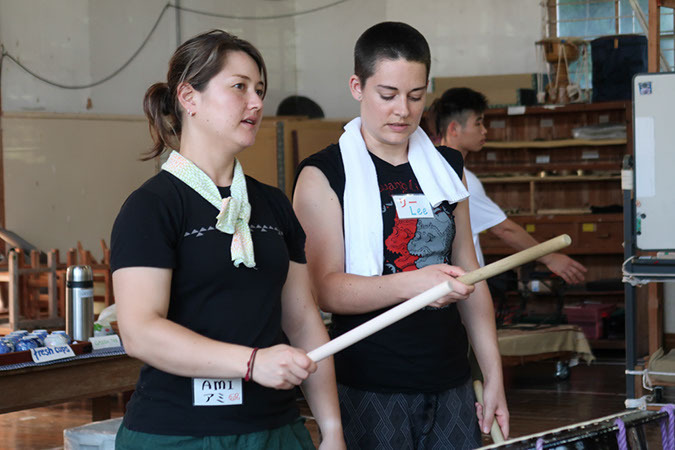 Next we visited Asano Taiko for a tour of their workshop space, and we also took some lessons on mini-taiko making and Odaiko taught by Akemi Jige. 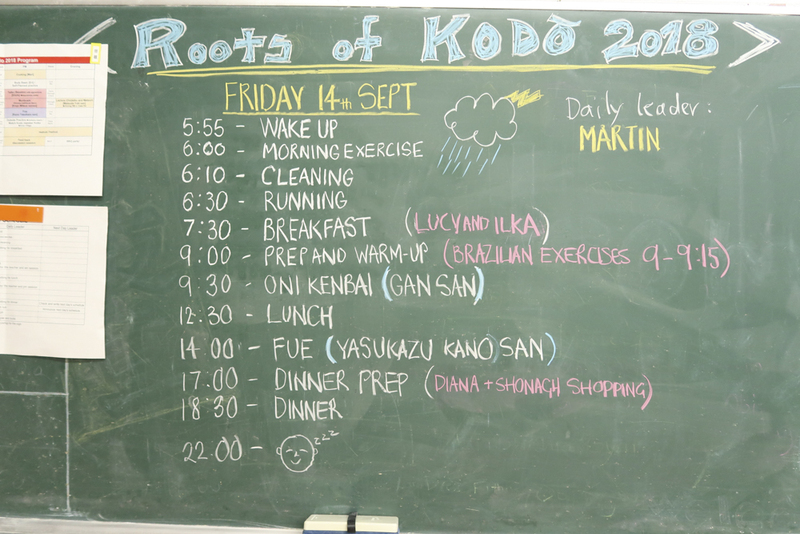 Then, we traveled to Sado Island and headed to Kodo Apprentice Centre. Even before meeting the KASA/MIX participants, the Apprentices seemed very nervous and worried as they were not necessarily confident in their English language and communication skills. 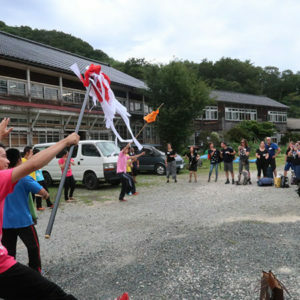 But all of those worries blew away once everyone arrived, of course, because there was so much joy and excitement filling the air! 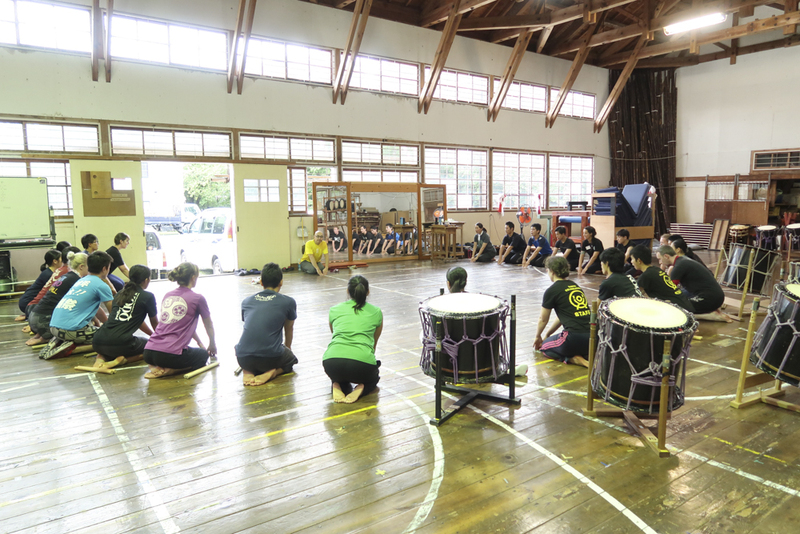 Three nights and four days were spent at the Apprentice Centre, and the workshops were conducted by Kodo’s performing members. 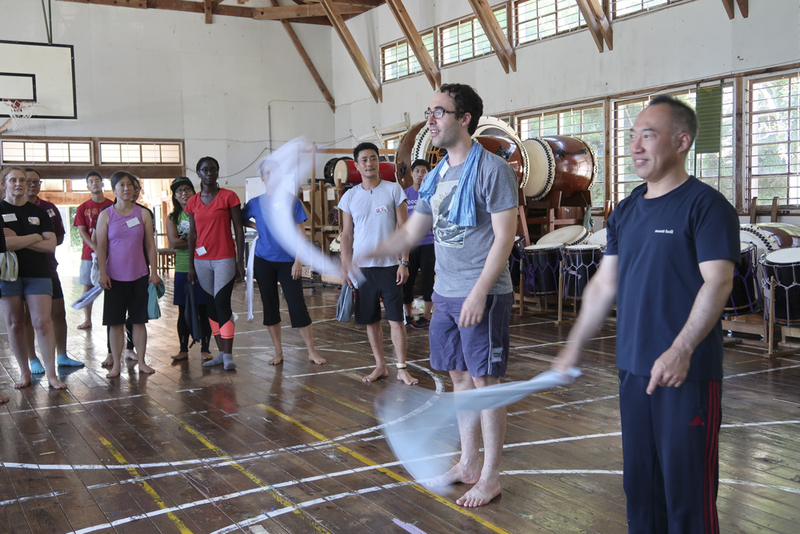 Yoko Fujimoto’s Voice Circle brought everyone’s voices and energy together. 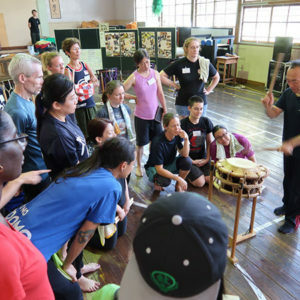 And Tomohiro Mitome’s odaiko bachi making and taiko basics workshops gave everyone a better sense of craftsmanship and the way we play taiko. 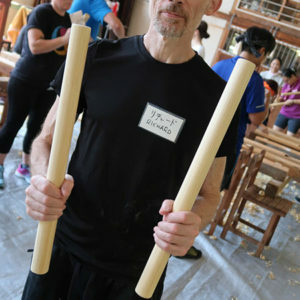 Yoshie Abe’s katsugi okedo workshop not only showed the basics of playing this particular style, but to also how to move around elegantly with the drum. 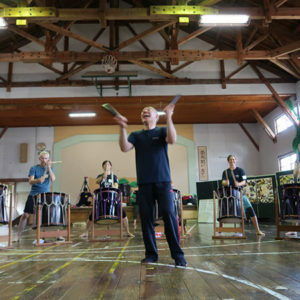 And lastly, Yoshikazu Fujimoto’s odaiko workshop gave everyone time to play on the large drums with all their might. 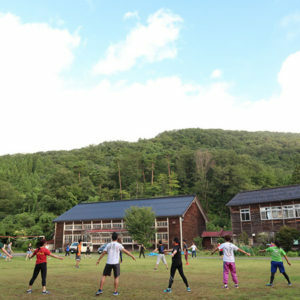 …and experienced the great nature and fresh air of Sado that surrounds the facility. 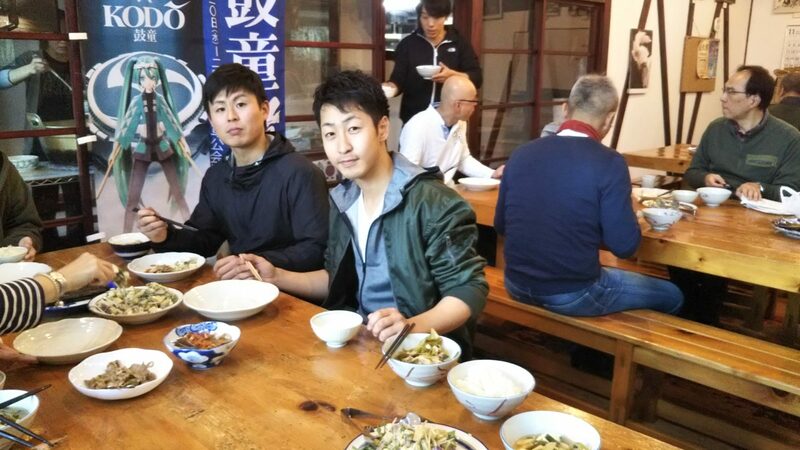 We played games together, and ate meals together like a big family. 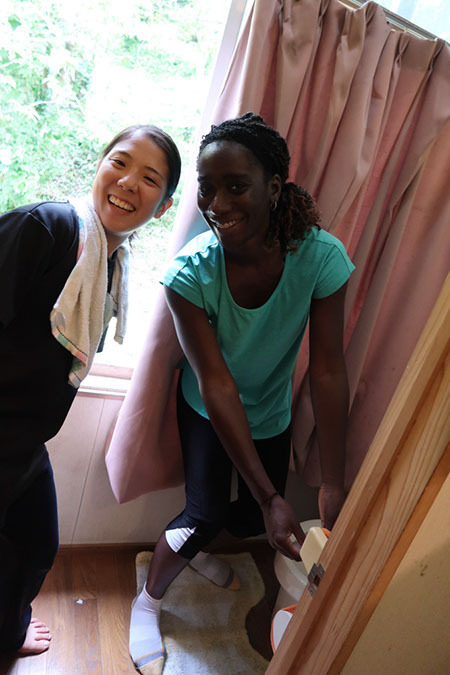 For the Apprentices, cleaning time may have been a dreaded activity in their daily schedule, but doing their chores together with KASA/MIX participants made them much more fun. 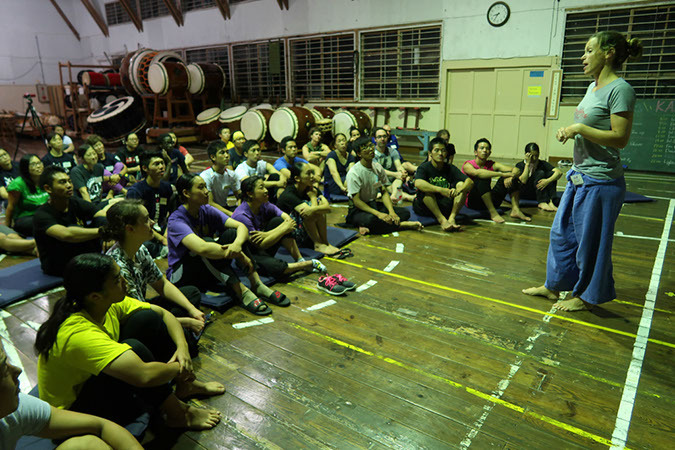 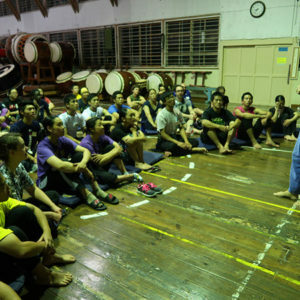 At night, we had KASA/MIX participants share their stories and experiences of taiko in their home country. 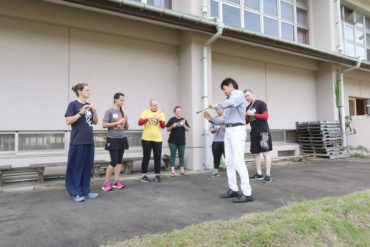 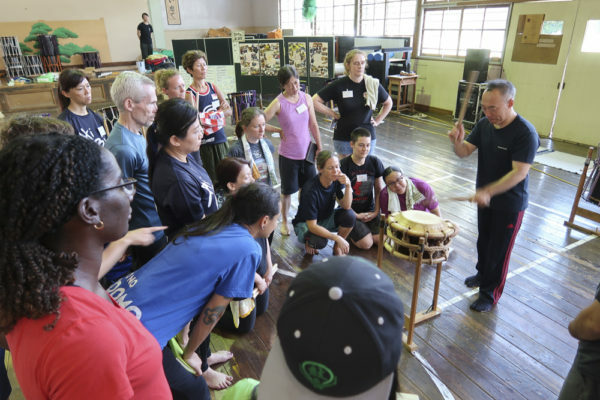 Since this was many of the apprentices’ first time to be exposed to taiko outside of Japan, this was a valuable time for them to learn what is out there in the broader world. 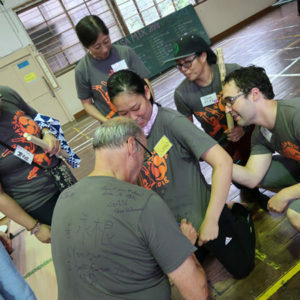 We also had one-on-one conversation sessions where the apprentices did their best to communicate in English and use body language to talk to their new friends from abroad. 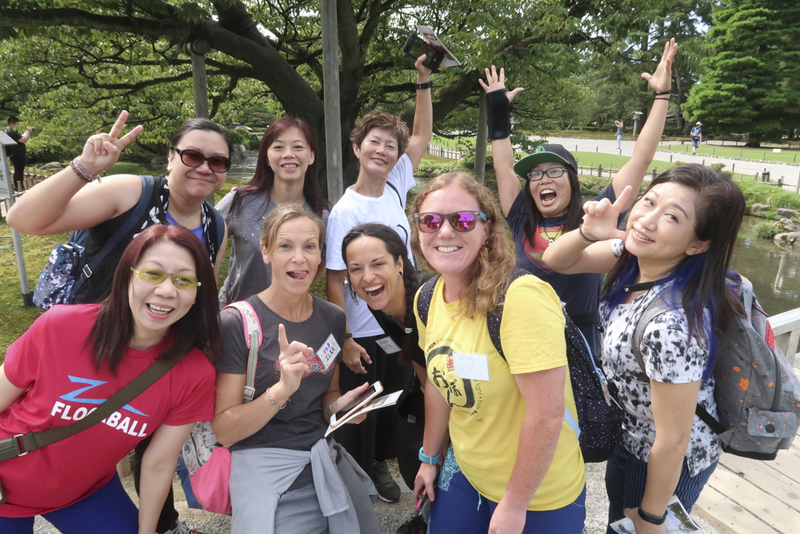 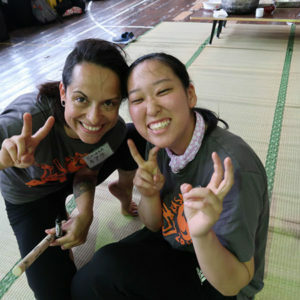 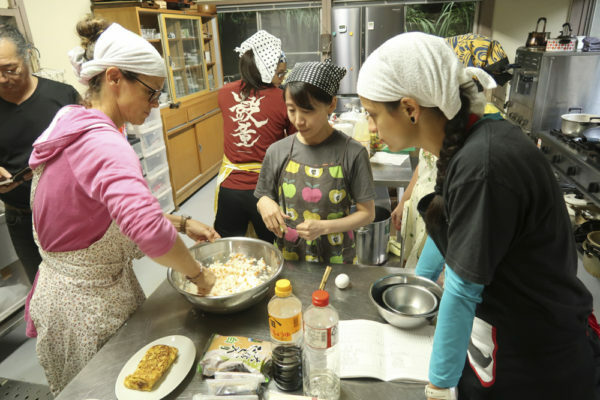 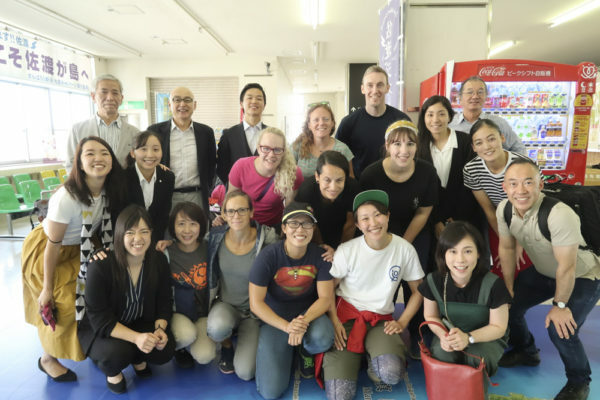 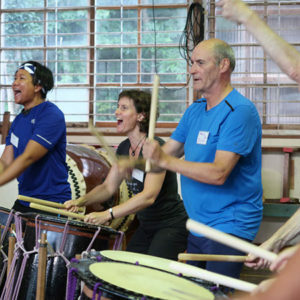 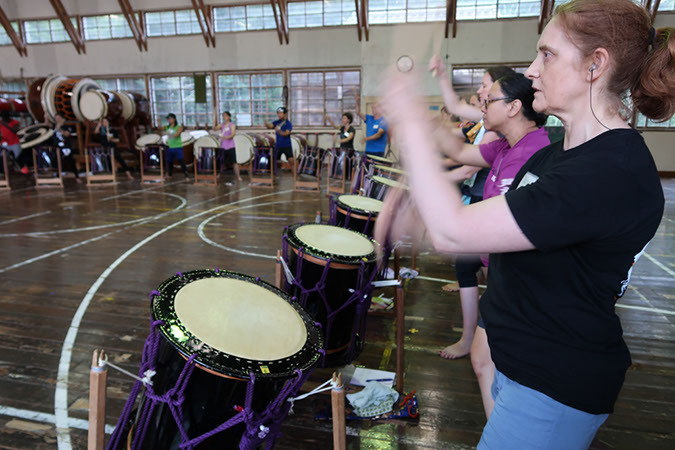 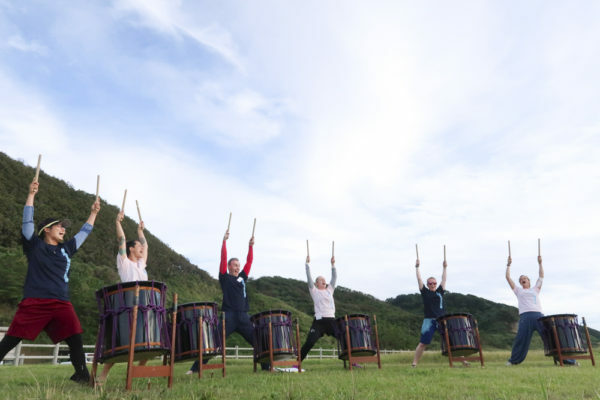 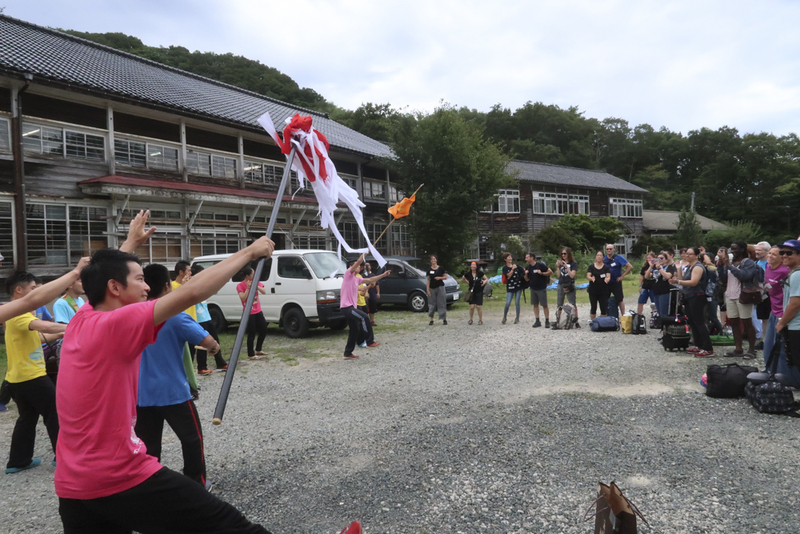 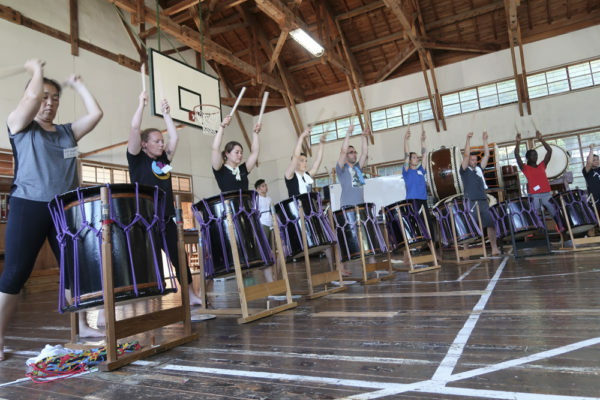 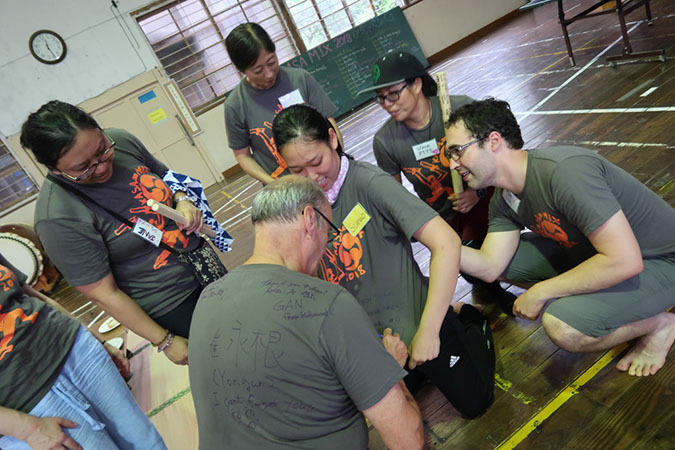 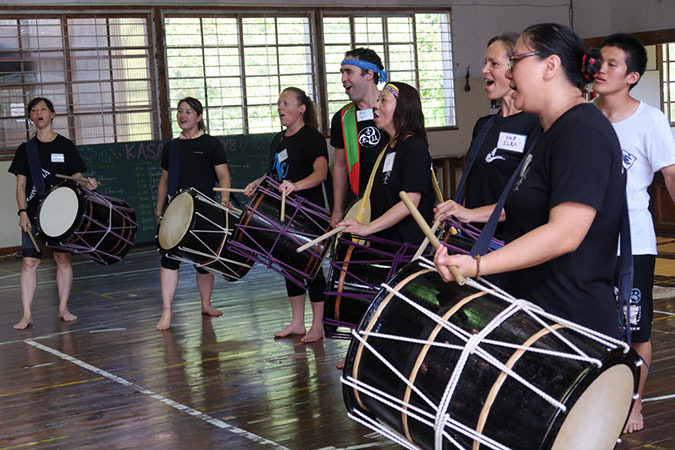 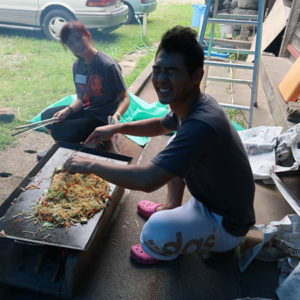 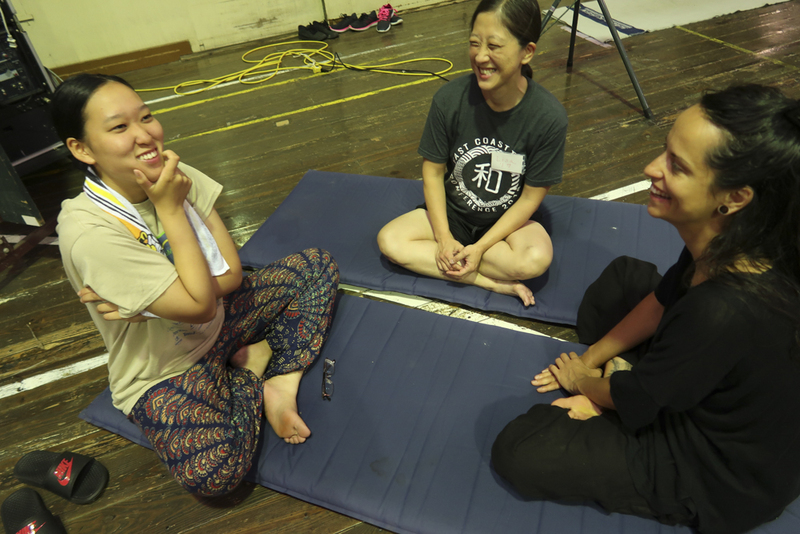 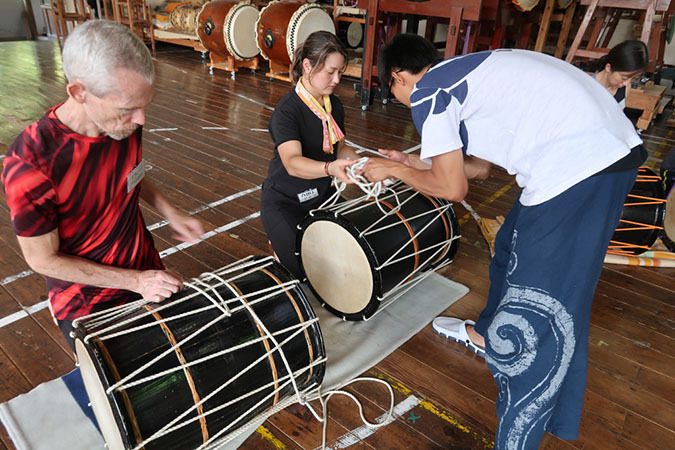 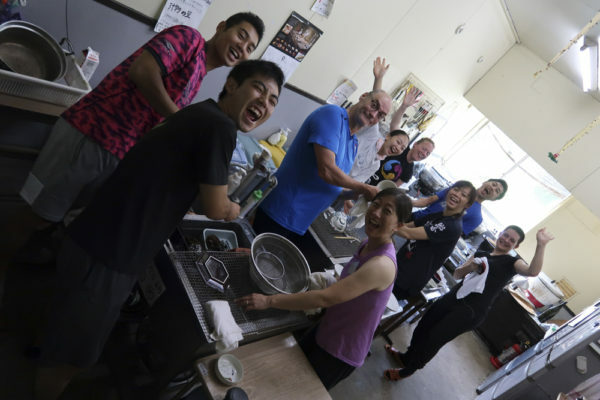 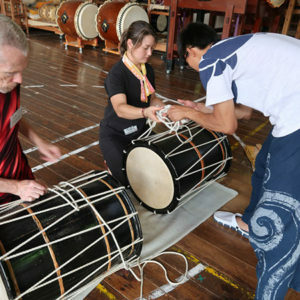 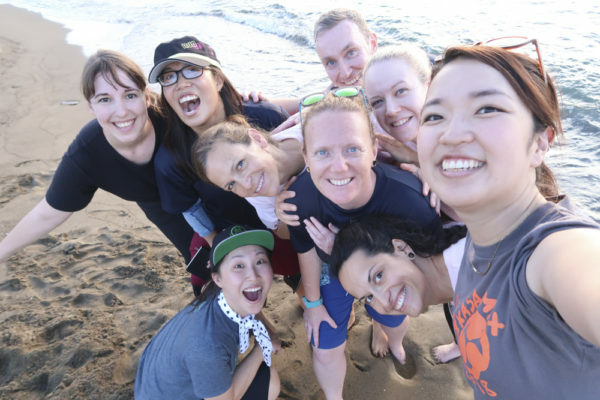 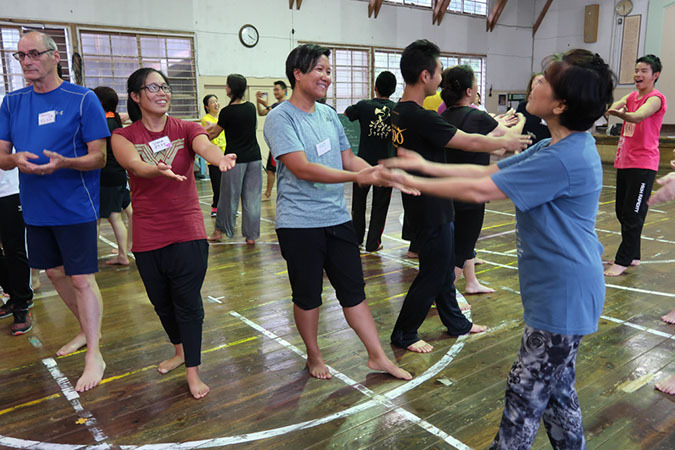 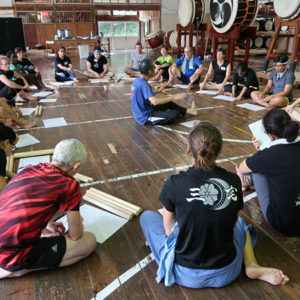 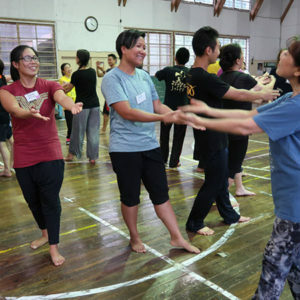 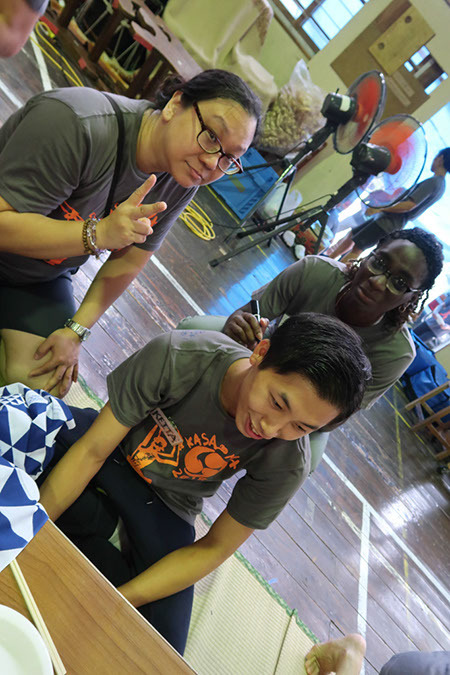 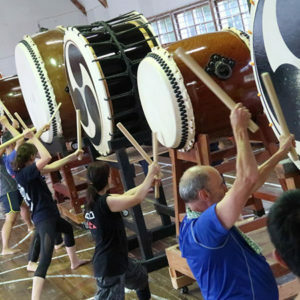 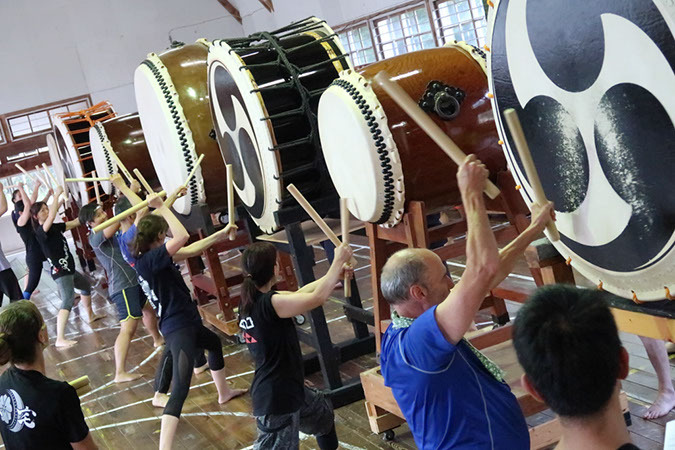 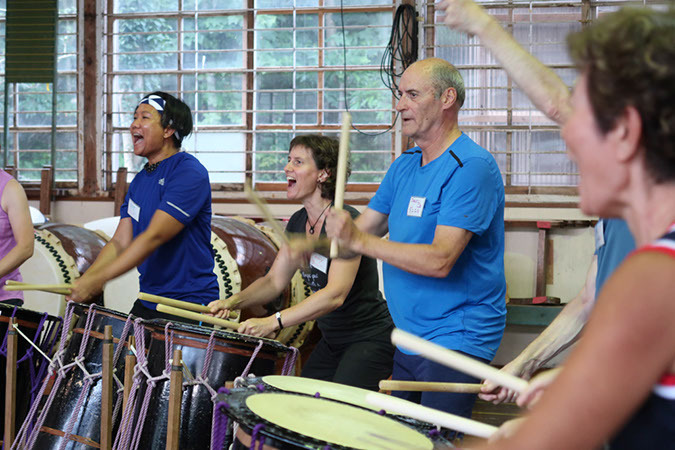 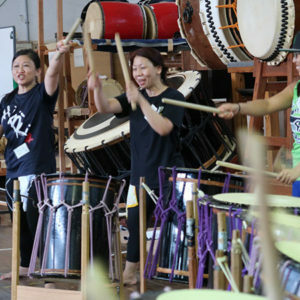 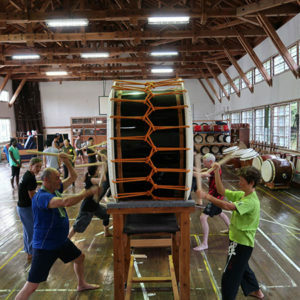 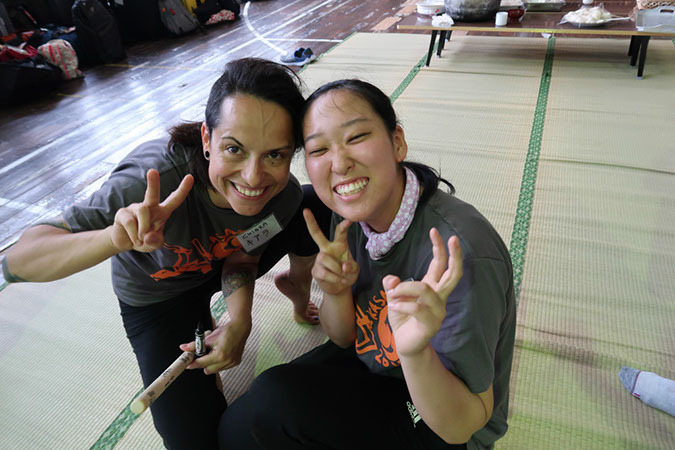 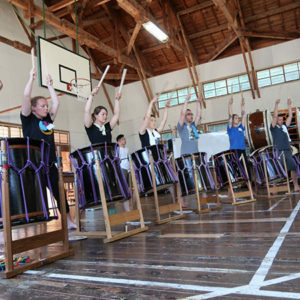 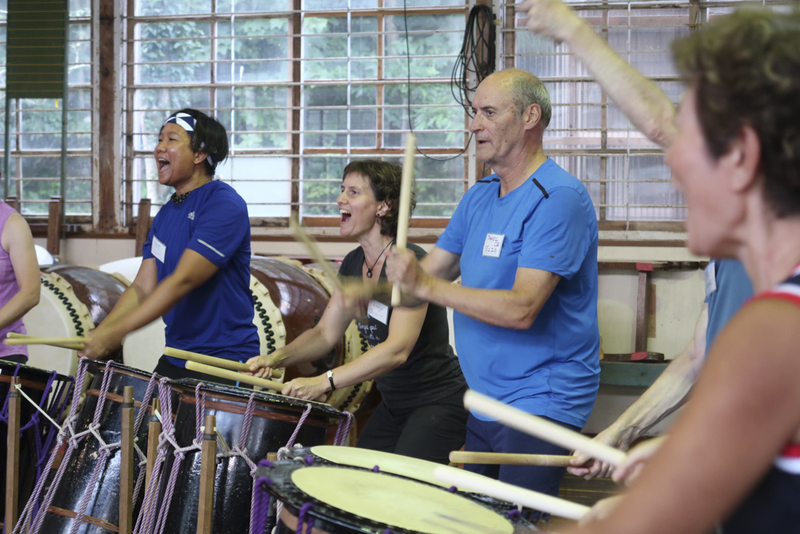 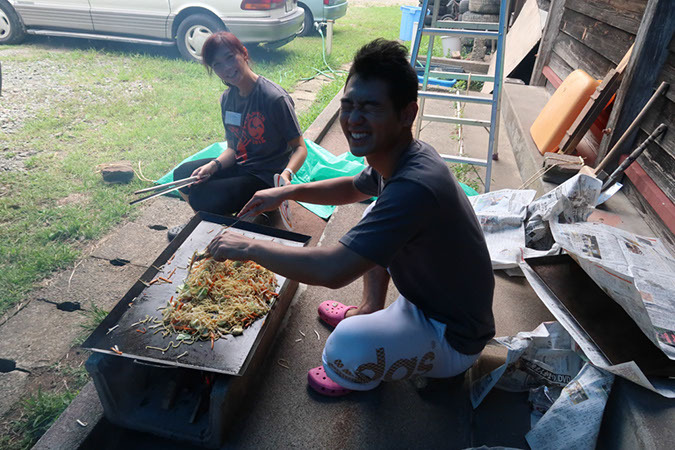 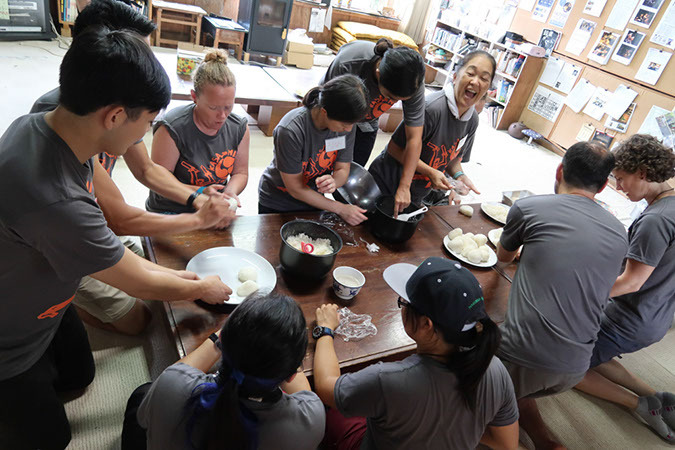 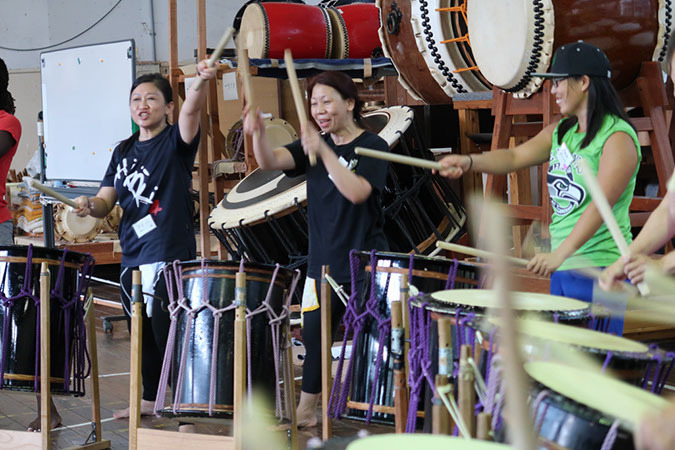 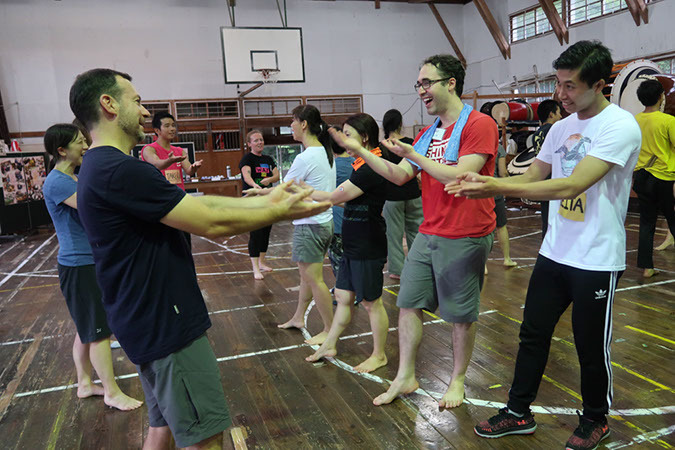 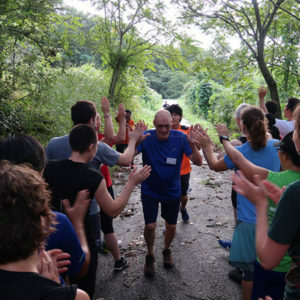 Activities like these make KASA/MIX so special, and create a remarkable experience for the apprentices, as they overcome language barriers and connect with everyone through taiko and heart to heart. 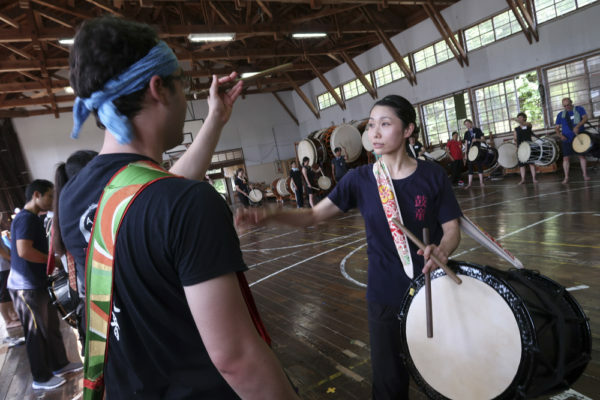 Taiko may have come from Japan, but it is also now a worldwide sensation. 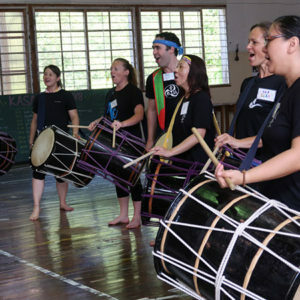 As “taiko” continues to grow globally, I feel that KASA/MIX also grows as a program along with it. 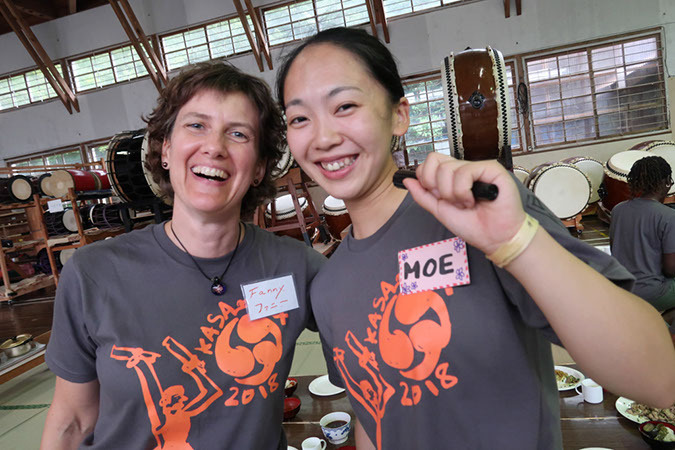 KASA/MIX helps our future Kodo performers make friends all over the world, even before they make their debut as a performing member. 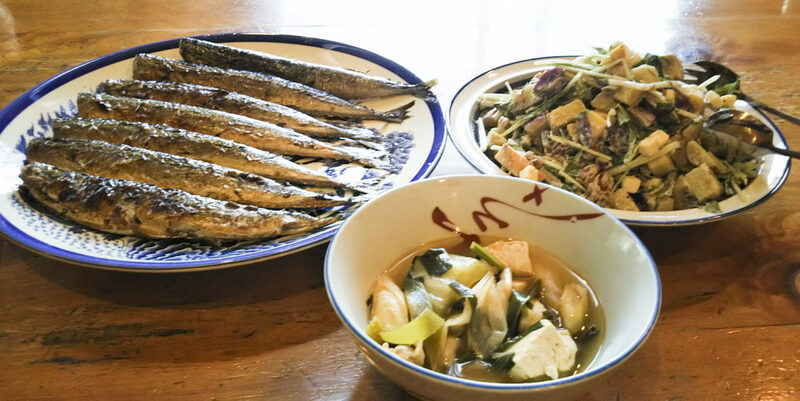 KASA/MIX is only offered once every two years, which means that the apprentices only get to experience it once during their two-year apprenticeship. This experience has definitely opened up many opportunities for these young adults, and we truly thank you all of you who took part in the program this year. 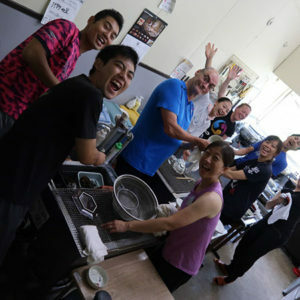 It was so much fun, and we really look forward to seeing you all again! 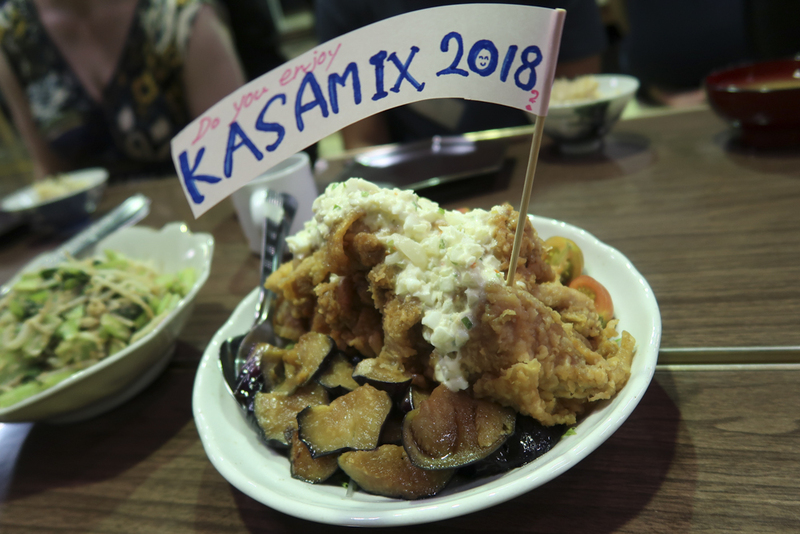 For those of you who are interested in participating our next KASA/MIX, please email kodoarts@earthlink.net to register your interest.